Product prices and availability are accurate as of 2019-04-21 17:30:11 UTC and are subject to change. Any price and availability information displayed on http://www.amazon.com/ at the time of purchase will apply to the purchase of this product. Author Bookstand is proud to offer An Introduction to the Eastern Orthodox Teleturgics by Bookstand Publishing. Bookstand Publishing offers books by the best indie authors throughout North America and the world. Bookstand Publishing is dedicated to offering original content to a broad audience and promoting great authors, literacy, and freedom of expression. 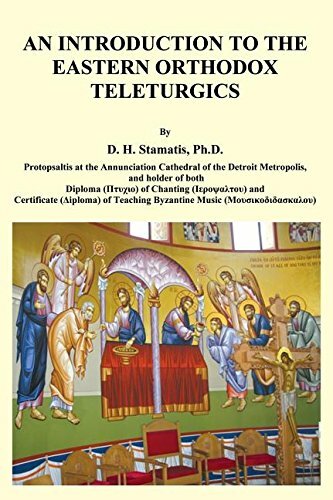 An Introduction to the Eastern Orthodox Teleturgics has generated a lot of interest and excitement and we think it would be an excellent addition to your library. As we, all know, over time things change and some practices are eliminated for convenience. Our practices in serving our God through our services are no different. Not only we have forgotten their significance but we also have added things that are foreign to the Orthodox Faith such as ecumenism, modernism and severe changes to our liturgical cycle, such as ignoring the Typikon, introducing instrumental and polyphonic music and others. This book is trying to rejuvenate some of the Traditions of the Orthodox Church. As such, it addresses some of the Teleturgical practices and relates their usage to the early practices of the apostolic age. I hope that both the clergy and the cantors will find this volume helpful. For the general reader we hope that some of the practices we reference as part of our Orthodox services will be better understood. The flow of the content begins with an overview of Tradition and it follows with some of the basic and necessary books used in our liturgical services. The discussion continues with the daily services, Holy Liturgy and closes with a summary. This book also has four appendices. The first one gives an overview of the Apostolic Constitutions with short commentaries and the second one includes the Didache in both Greek and English. The third appendix covers the liturgical Traditions and the last one discusses the early Christian liturgies.